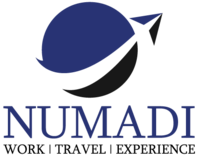 Numadi Work & Travel are based in the phenomenal, New Zealand (we shouldn’t boast, but we we will!!) We are a registered work and travel company with a passion for just that! All our staff are, or have been world travellers ourselves so we provide a personal touch when assisting you. Offering opportunities to volunteer, travel and intern to interested candidates from around the globe; working alongside our international partners our focus is to provide applicants a range of options, tailored to their needs. We don’t just encourage travel, for the sake of seeing the world. We encourage travel for the opportunity to learn about, appreciate and experience a whole new culture. Race, gender and where visas allow- age- are no barrier to participating in our programs. Our end-goal is to see participating candidates get out of their comfort zone and achieve their dreams, while experiencing the ultimate international experience.